Many commercially available dips can be high in fat, high in calories and contain fillers like breadcrumbs as well as undesirable preservatives, acidity regulators, extra salt and even sugar. 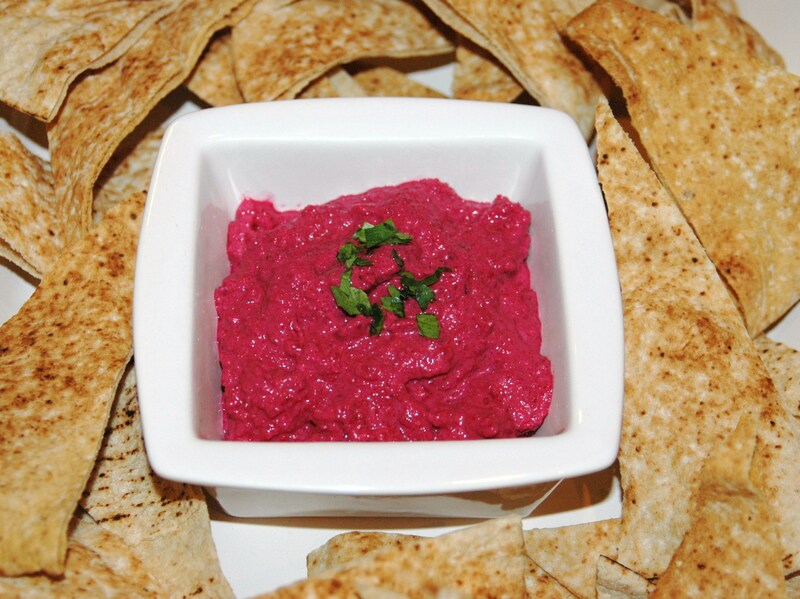 Dips are really easy to make yourself, especially if you have a food processor, and beetroot dip is one of the easiest as it has only 3 ingredients. It is also one of the cheapest if you use homebrand beetroot (75c per tin in Woolworths and a product of Australia) and this beetroot dip is low in fat, especially saturated fat. When eating dips, one of the traps can be what you serve them with. Many savoury style biscuits are very high in fat and so is the trendier dipping choice, lavoche. I prefer to use vegetable sticks (VERY low in calories!) or pita crisps which are quick and easy to make yourself (watch for upcoming post). Just dry bake sliced pita breads in a moderately hot oven for about 20 minutes. 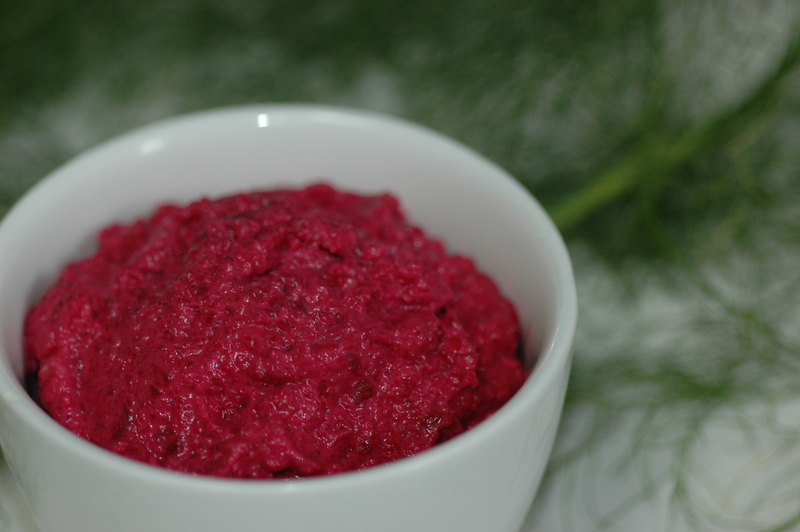 Place beetroot, tahini and horseradish cream in food processor and process until smooth. That’s it! !